Strategic Wealth Partners | Financial Planning & Investment Advisory Services for High-Net-Worth Individuals, Families, Business Owners, Retirement Plan Sponsors & Institutions > 1 Financial Planning > Don’t Forget to Put Medicare on Your Shopping List! Are you one of those people that takes a “set it and forget it” approach to your Medicare coverage? Have you been ignoring the onslaught of television commercials talking about open enrollment? If so, please think twice; there are some compelling reasons to revisit your choices now, during the brief open enrollment period that ends December 7th. If you are on a traditional Medicare Plan with a Supplement, it can be difficult to make changes to your Supplement Plan (and we are not advocating doing so), but we highly encourage you to shop your Part D (prescription) plan. In a comparison of Medicare Part D prescription prices done by The Senior Citizens League, there were instances where the same drug had a $1,000 price differential between various Part D Plans. For example, if you take Advair (an asthma medication) and your Part D provider was SilverScript Choice, your cost would be $37. That same drug would cost you $1,880 if you were on the AARP Medicare Rx Saver Plus Part D Plan.1 It is definitely worth shopping! This is just one example of significant differences in drug costs from one plan to another. How can you find out which Drug plan is best? Once you complete your list (each person should do this separately), it will ask you which pharmacies you prefer. Please know that prices and results can vary widely by pharmacy, so put down your two best choices. The results will list the most economical plan both for retail pharmacies and mail order providers. You will be able to compare the results to your current plan and see if the difference is great enough to make a change. If you decide to change, the plan name and number will be listed and the phone number will be available by clicking into that plan. Note that it generally will take 30 – 45 minutes to call to make this change, so be patient! The new provider will contact your existing provider, so you do not have to take any further action. Each spouse should go through this process and choose the plan that is most beneficial for them. If you are covered by a Medicare Advantage plan (sold by private insurers where everything is bundled) this is the time of year when you can switch from one plan to another. Every year, insurance companies can make changes to Medicare plans that can affect monthly premiums, deductibles, drug costs and the provider and pharmacy networks. You may want to switch if your health has changed or the prescriptions you are taking are different. 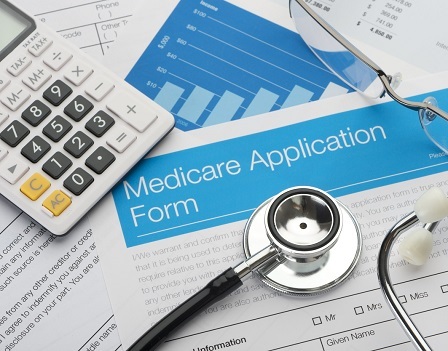 Also, there are some big changes coming in 2019 for some Medicare Advantage plans. Some may offer caregiver support services, adult day care and home support. Since prescriptions are bundled as part of the plan, you want to make sure your plan covers the prescriptions you need. Remember that a husband and wife can be on different plans. If you are on a Medicare Advantage Plan, we encourage you to do some shopping to make sure you are on the best plan for the services you need and the prescriptions you are taking. Keep in mind that Medicare Advantage Plans generally restrict access to a network of doctors and facilities, may require prior approval to consult a specialist and have co-pays and co-insurance requirements. If you are thinking of switching to a traditional Medicare plan with a Supplement, there are many limitations and we suggest contacting an agent to see if it is possible. While it’s not quite holiday shopping season yet, Medicare shopping season has already begun. We hope these tips help you make some smart choices. And remember, the deadline to make any changes is December 7! 1. The Senior Citizens League (https://seniorsleague.org), “Why You Should Compare Medicare Drug Plans” September 27, 2018.